ESG began as an event security company in 1993. Over the past 20+ years, ESG has grown far beyond being just an event security company. ESG has developed into the Midwest’s premier event services provider. ESG specializes in event security, usher services, ticket taking services, parking services, building/site security and executive protection. ESG currently employs over 1,000 employees and has offices in Indianapolis, Fort Wayne, Bloomington, South Bend, Evansville, Indiana and Louisville, Kentucky. ESG has contracts with over 15 venues and sites in Downtown Indianapolis alone and many more throughout Indiana and Kentucky. ESG has experience in providing event staffing services for the NBA, WNBA, NFL, MLB, NCAA, Indy Racing League, NASCAR, as well as concerts, conventions, trade shows, theatrical productions, festivals and special events. The diversity of the services we provide, along with the equipment, expertise, and experience of our employee base has allowed ESG to prosper for over two decades. ESG has never lost a client based on performance of services provided. With ESG, your property, assets, and lives are protected. So is your satisfaction. If at any point you are dissatisfied with any of the ESG staff or their performance, they will be immediately replaced. If necessary, a member of our executive staff will take their place. Furthermore, you will not be billed for that employee. This is our guarantee for every one of our clients. ESG will meet the needs of both the patron and the client through personal attention and service. The safety and protection of the general public and property of our clients is of the utmost importance. ESG promises to be reliable, qualified, and honest. ESG is an equal opportunity employer. 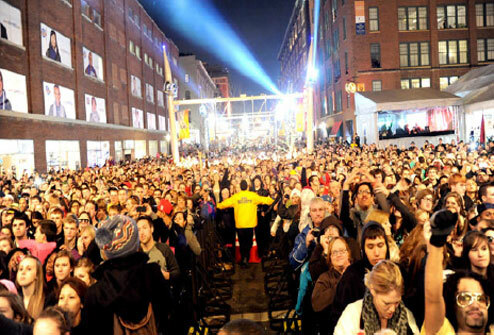 ESG began as an event security company in 1993. Over the past 22 years, ESG has grown far beyond being just an event security company, and has developed into the midwest’s premier event services provider. ESG specializes in event security, usher services, ticket taking services, parking services, building/site security and executive protection. ESG currently employs over 1,000 employees and has offices in Indianapolis, Fort Wayne, Bloomington, Evansville and Louisville. ESG has contracts with over 15 venues/sites in downtown Indianapolis and many others throughout Indiana and Kentucky. The diversity of the services we provide, along with the expertise and experience of our employee base, has allowed our company to prosper for over two decades. In the last three years ESG has not lost any clients based on performance of services provided. Can ESG provide executive protection and bodyguards? Does ESG offer risk management and analysis? I have an urgent need for security. Can ESG get up and running in the last minute? Does ESG offer foot patrols of sites and structures? How are ESG guards trained and vetted? What are all of the skills, scenarios, and procedures ESG guards are trained for? Get started with ESG in 3 minutes. 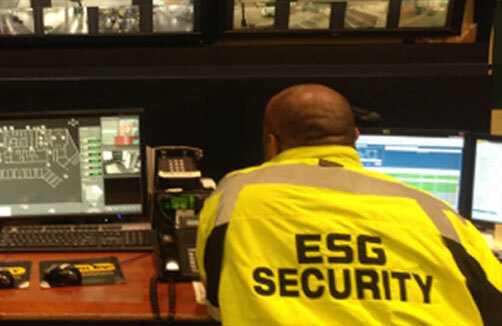 ESG Security guards are trained in service, de-escalation, defense, gang ID, and much more. Every event receives a full operations plan with post orders, efficincies, and fresh ideas. ESG dispatchers are available and on-call when any of our guards are on-duty. Serving Indianapolis, Louisville, Bloomington, and more. See our locations. ESG Security can take tickets and serve as concierges. ESG Security is available when you are. Contact us to schedule your event security. All ESG Security guards have undergone a full and extensive background check in Indiana and Kentucky. Site and building security checks are conducted routinely. ESG will provide all the equipment your event needs, like metal detectors, wands, and fencing. Copyright 2016 ESG Security. All Rights Reserved. Site designed by SuperPixel. Leave a comment about this site.